Are you looking for information on a humanitarian green card, obtaining a green card through refugee or asylee status? We can help. This guide to obtaining a green card through refugee or asylee status is part of our guide to green cards. If you need more information, please keep on reading. If you know that you could use some help now, please contact us. The United States has a history of responding to the needs of the world’s oppressed peoples. For a representative example see here. Victims of oppression can show that oppressors persecuted them or that they fear of future persecution due to some protected ground. 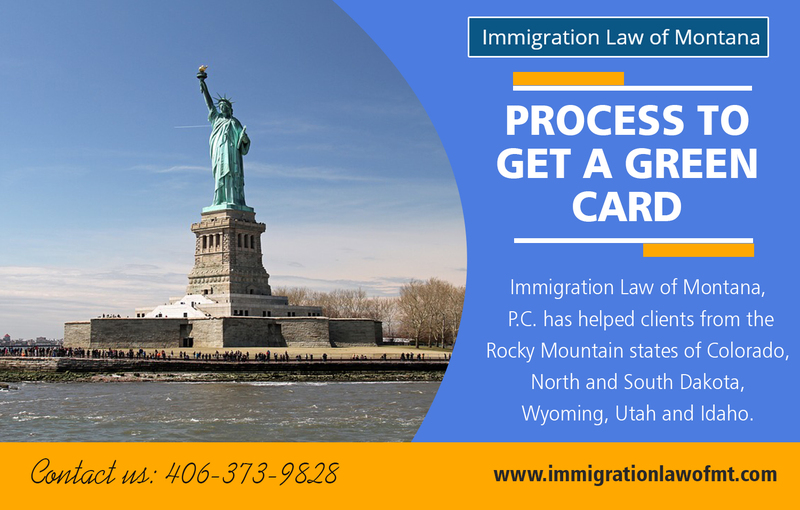 The Green Card Application Process in United States recognizes persecution due to race, religion, nationality, political opinion or membership in a particular social group. It does so through two routes based on where the victim of oppression lives. A refugee is someone who lives outside of the United States for whom the United States has a special humanitarian concern and easy Green Card Process Steps. A refugee will be able to show persecution as defined above. Moreover, the refugee has not settled in another country permanently. Regardless of the persecution that a refugee experiences, for the United States to admit them in that status he or she must still be admissible. A detailed description of the refugee application process is beyond the scope of this article. But, once admitted to the United States as a refugee, the refugee becomes eligible for a green card. We cover the refugee green card process in our guide limited to that topic. An asylee is someone who is already present in the United States or someone who presents themselves at a port of entry to the United States. The asylee is unable or unwilling to return to his or her country of nationality or seek the protection of that country because of past persecution or fear of future persecution. As with the refugee, the asylee must have suffered persecution for one of the protected grounds. Like refugee status, a detailed description of the asylee process is beyond the scope of this article. But, once the United States admits someone to the United States as an asylee, that person becomes eligible for a green card. We cover the asylee green card in an article limited to discussing that process. 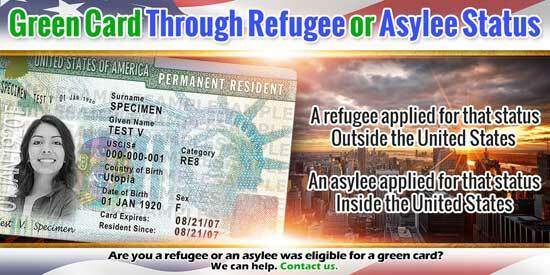 Do you believe that you are eligible for a green card through the refugee or asylee process? Please review the individual Us Green Card Process guides for the specific route that interests you. It doesn’t matter which of these humanitarian options apply to you, we can help you.